I love this card. 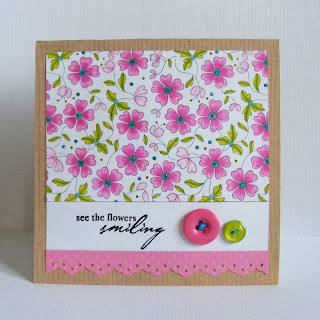 You've inspired me to go use my floral wallpaper stamp. Thanks! Oooooh, this is lovely Kat - love the zingy colours teamed up with kraft, just fab!